Save your knees—when you can. Although all coach/economy seats are cramped, not all are alike, and some are worse than others. Fortunately, you can avoid the worst offenders, at least most of the time. Airlines measure legroom by "pitch," the front-to-rear spacing of seat rows, from a point on one seat to the same point on the seat in the row ahead or behind. Pitch data is available from websites like our sister site SeatGuru and most individual airline sites. 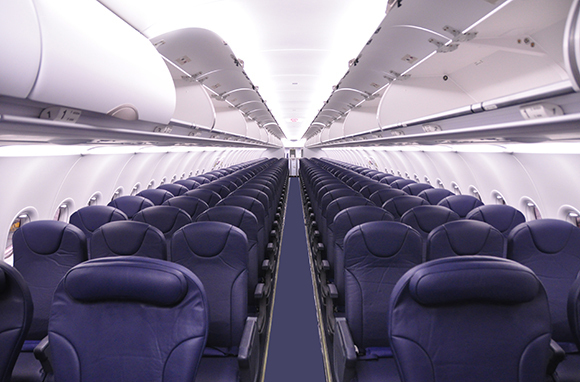 On many planes, pitch varies in different parts of the cabin. The norm these days for most airlines is a 31–32-inch pitch—which is really tight, not only for legs but also for reading and trying to work on a laptop. But a few lines are even worse. 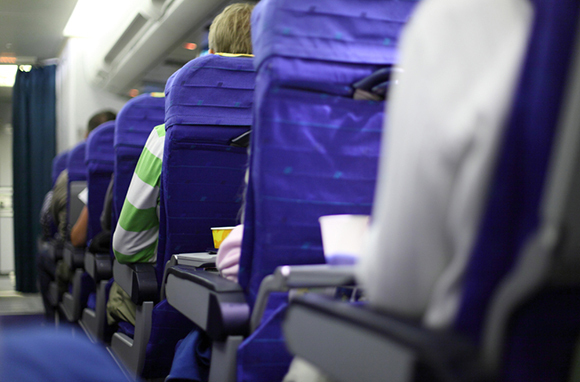 The seat measurements that follow were found on SeatGuru or the airlines' websites. The continent's tightest seating is on Spirit A320, at a 28-inch pitch. Seats do not recline—which actually might help a little—but the seating is still extremely tight. On the other hand, Spirit A319 and 321 are close to average, at 30–31 inches. Other bad actors, at a 30-inch pitch: AirTran B717; Allegiant MD83 and MD87 (with no recline); Delta DC9-50, A319, MD88, B757-200 (some Pacific flights), and B757-300; Hawaiian Airlines B717-200; and US Airways B737-400. 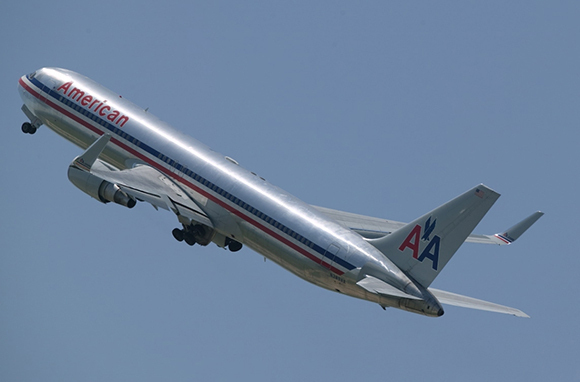 Among twin-aisle (or "jumbo") jets, American B767-300 and Hawaiian B767-300 Version 2 models have the least legroom among North American lines, at a 30-inch pitch. Both are real knee-crunchers on a long flight. Almost as bad on a long flight, at a 31-inch pitch: Air Canada B767; Delta A330-300, B747, B767, and B777; United B747, B767-300, and B777; and US Airways A330. For the most part, these are the planes you're likely to encounter on an intercontinental flight. Find the least legroom among European and Pacific lines on Finnair A757 and Monarch A300, A320, A321, and B757 models, all at a 28-inch pitch. 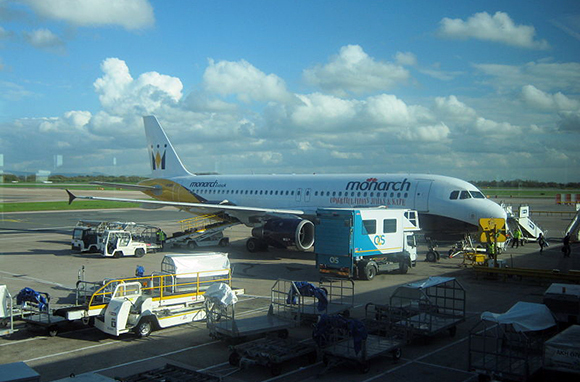 You may encounter Finnair on an onward connection from its Helsinki hub, but Monarch is a British charter line you aren't likely to fly. Almost as bad, at a 29-inch pitch: AirAsia A319, Air India Express B737, Brussels Airlines B737, and easyJet A319 and A320. 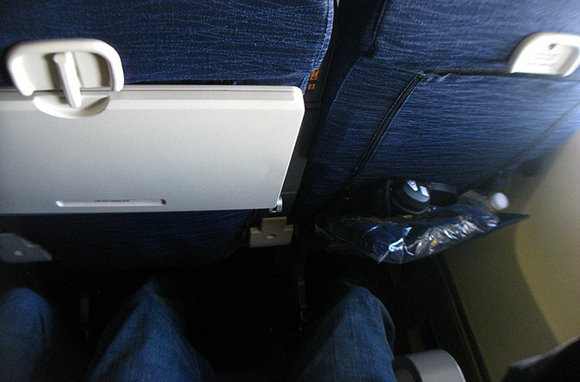 Surprise: Legroom is one of the few instances where Ryanair isn't the world's worst! 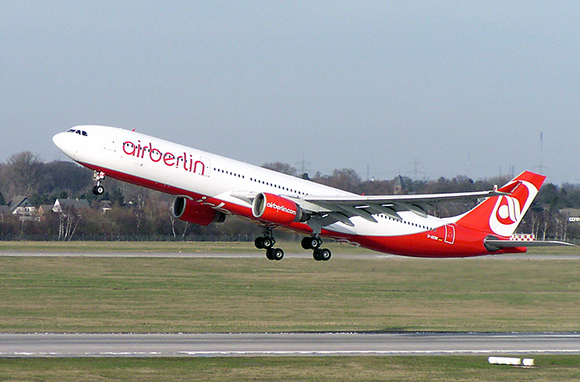 Airberlin A321 and A330; Austrian B767; Flythomascook A320, A321, B757-300, and B767; and Virgin Atlantic A330 share the dubious distinction of providing the least legroom among worldwide lines, at a 30-inch pitch. The one you're least likely to encounter is Flythomascook, an airline that focuses on European package tours. Most European airlines, including the biggest names, now use a 31-inch pitch as the norm. Most Pacific lines start at a somewhat better 32-inch pitch, and a few go up as high as 34 inches. Since commercial jets were introduced in the 1950s, seats have remained the same width or gotten narrower while American travelers have gotten wider. At first, the jumbos—the Boeing 747, Douglas DC10, and Lockheed 1011—provided seats about two inches wider than those in the first generation of jets. But after a few years, all airlines ultimately added a seat to each row to tighten up the width, and a few added two seats to each row, resulting in the worst squeeze in the sky. Now, anthropometric data show that today's economy seats are too narrow at shoulder level to accommodate American men and too narrow at seat-cushion level to accommodate women. But unless you spring for expensive real premium economy, you can't escape the squeeze. The right way to measure seat width is the distance between armrest centers of adjoining seats. Unfortunately, nobody posts seat-width data this way, and available postings—supposedly of seat-cushion width—are inconsistent. Instead, we use standards based on cabin width and number of seats per row, with maximum width measured between armrest midpoints as provided by manufacturers. Standard layouts include single-aisle and twin-aisle planes. In North America, Air Transat A310 and A330-200 have nine really narrow seats in each row instead of the usual eight narrow seats. The result is an extremely tight squeeze, very unwelcome on the transatlantic trips these planes fly. This nine-across seating in these planes is terrible—an inch or so narrower than the already-too-narrow seats on B737s. 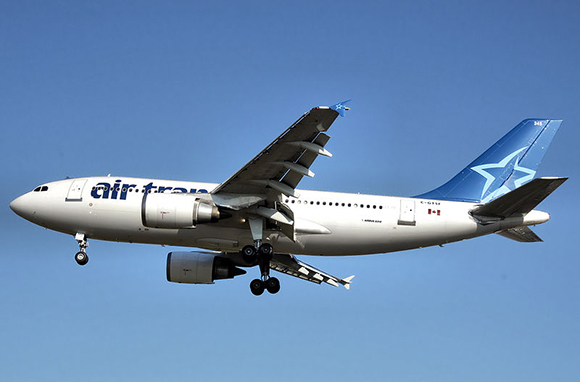 Canada-based Air Transat is the only low-fare transatlantic line based in North America. It sometimes undercuts the bigger lines' fares and flies on some routes the other lines don't. But avoid it unless you get a really good deal. Eight seats per row in the B767 is even worse than nine per row in the Airbus 300/310/330/340 family. Just a little worse, but still worse. 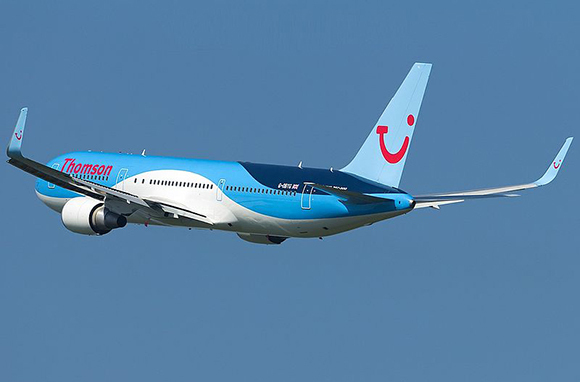 Fortunately, you aren't likely to encounter these planes flown by European package tour operators Flythomascook and Thomson Airways. AirAsia X A330 and A340, Flythomascook A330, Monarch A330, S7 Airlines A310, and XL Airways A330. You're most likely to encounter these cattle cars on XL Airways, which makes a big pitch for low fares from the U.S. to Paris during the summer. However, the fares should be a lot lower to entice you. So, what airline/airplane is the absolute worst when it comes to pitch and seat width? 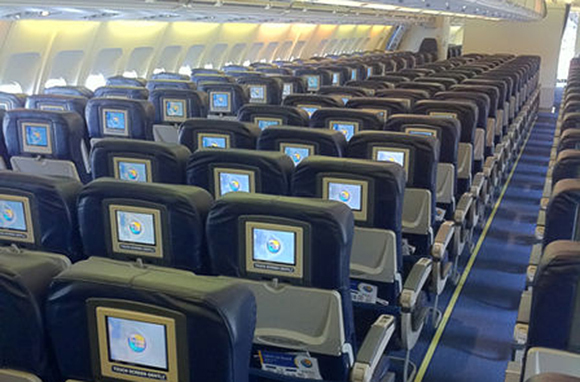 Flythomascook B767 model combines a paltry 30-inch pitch with the narrowest seats in the sky. Fortunately, very few North Americans have to worry about these planes, which are used for charters originating in Europe. But just in case, be warned and stay away. In general, the seating on small jets and turboprops is worse than on mainline planes. The big exception is the newer Embraer 170-190, which provides some of the best seating in the industry. 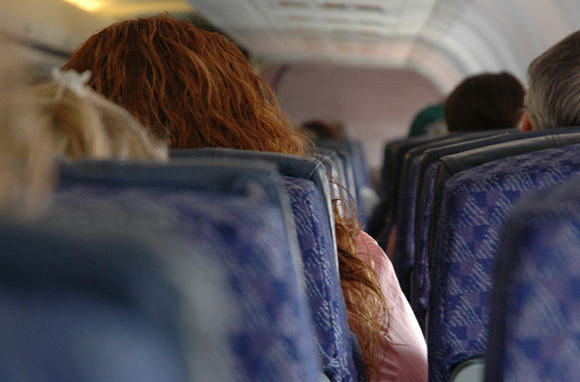 Want to know the seat size on your next flight? Most airlines post seating diagrams of their planes—although you may have to do a little digging through their websites' "site maps" or "search" sections to find them. Several third-party sites also post seating maps with lots of detail, including SeatGuru, SeatExpert, SeatMaestro, SeatPlans, and Skytrax. Unfortunately, at present, none of these sites is totally current, so only use them as a guide.